Good news for fans of King Kong all around the worldThese days, there are a lot of curiosity and interest for Kong Skull Island Hollywood hot movie. This is really great news for King Kong fans as once again Kong movie is shown up on scene. Fans in Vietnam and around the world are eagerly waiting from the start day of filming until the release of Kong Skull Island in theaters. The film has stimulated the curiosity of many people not only because of the interesting content but also the mysterious and majestic shooting scenes in Vietnam. In October 2015, the director Jordan Vogt-Roberts went to Vietnam and traveled from the north to the south for more than a month to examine the setting for the Kong Skull Island blockbuster. 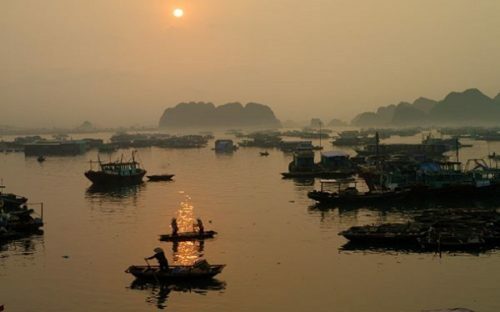 After the survey, he praised the beauty of Vietnam and determined to put Vietnam on screen. On February 18, the film crew of 120 members of Kong Skull Island Hollywood project came to Vietnam and had two months filming here. 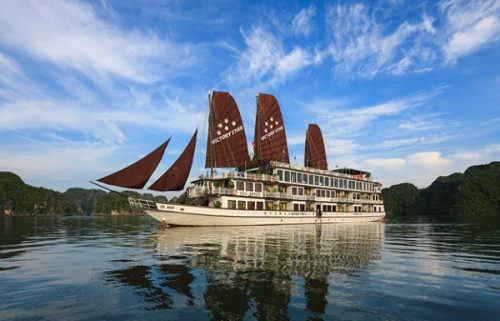 Kong Skull Island is the first Hollywood blockbuster to be filmed in three famous locations in Vietnam, including Ninh Binh, Quang Binh and Halong bay Pelican cruise, which will be the main scenes to be featured in this film. The film recreates the mysterious and dangerous return journey of King Kong, and the fierce Vietnam War in 1970s. 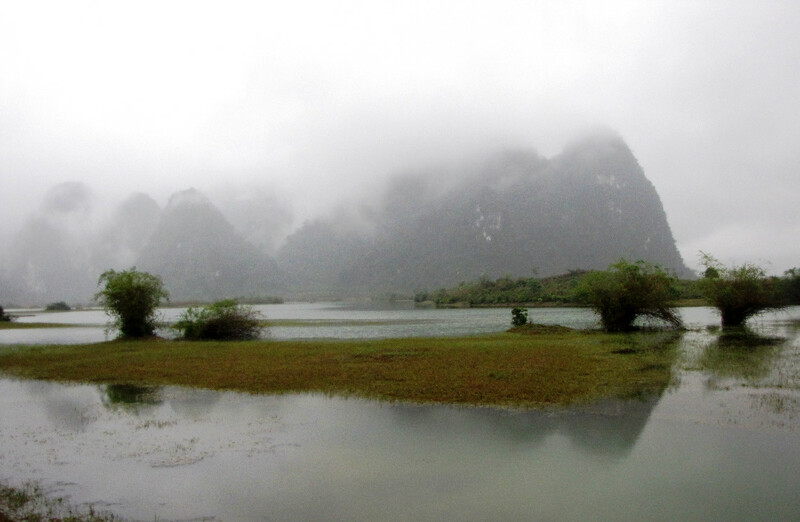 Van Long Lagoon – an attractive eco-tourism destination – is the largest wetland nature reserve in the delta, located in Gia Vien district, Ninh Binh province. Ninh Binh is about 90 km from Hanoi and takes around 2 hours by motorbike. 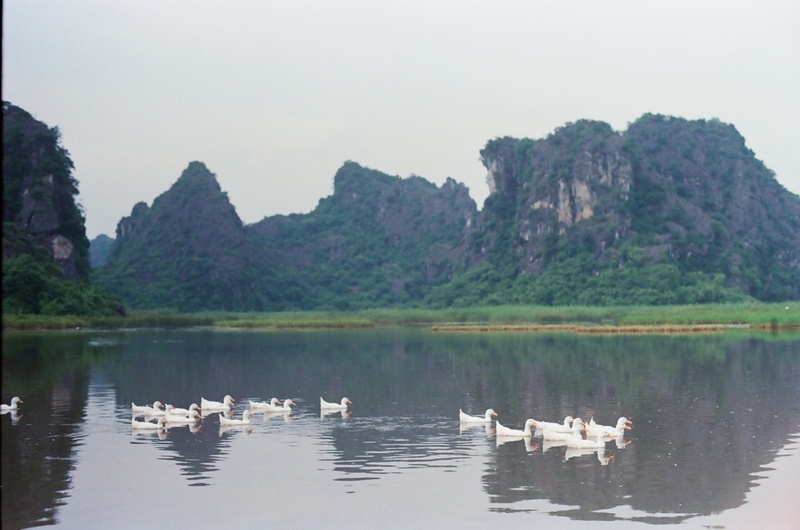 Ninh Binh appears in Kong Skull Island with mysterious and pristine valleys surrounded by complex limestone mountains, stimulating curiosity of the audience on the land, which is known as the Kong Skull Island – hometown of King Kong. The Van Long lagoon covers an area of nearly 3,500 hectares. There are many limestone mountains as well as reeds in the lagoon, which are home of many species of animals including Delacour’s langur and birds. Next, we head to Quang Binh province, which is located in the north centre of Vietnam. From Hanoi and Ho Chi Minh cities, it takes just over an hour to Dong Hoi airport. Da Deo Mountain Pass, Yen Phu Lake are particular places for visiting in Quang Binh – Kong Skull Island Film Studios. 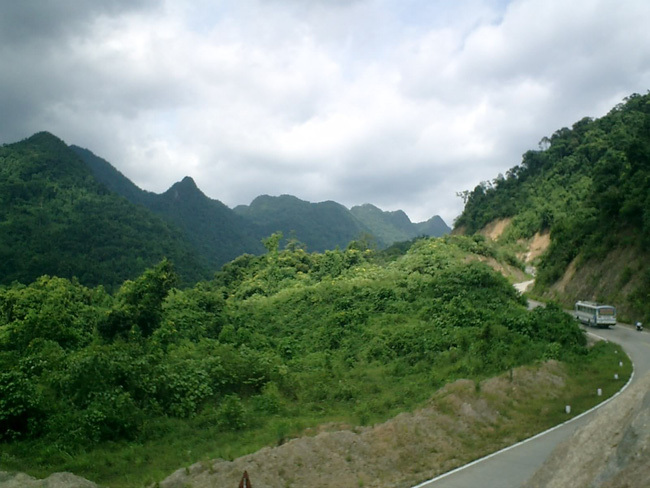 Da Deo Mountain Pass belongs to the Phong Nha – Ke Bang National Park – UNESCO World Heritage with row of mountains. Under the mountain pass is Cha Noi valley with wild landscape of rivers, surrounded by majestic rocky mountain with fanciful clouds. This place is full of cloudy mountain pass which brings mysterious scene effect for the Kong Skull Island movie. Yen Phu Lake is placed in Yen Phu hamlet, Trung Hoa commune, also chosen as the filming location of Kong Skull Island. Yen Phu is a peaceful village with green fields, surrounded by majestic natural scenery. This place not only has the beautiful scene which makes people fascinated but also the fresh air will make you feel very comfortable and be in harmony with nature. Halong Bay (Quang Ninh) is about 180 km from Hanoi and takes 3-4 hours by car. 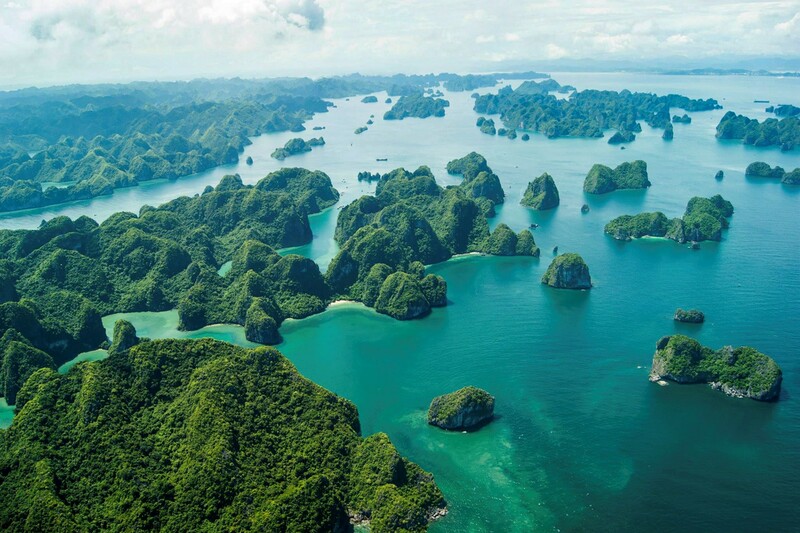 Halong Bay has an area of 1,553 km2 with nearly 2,000 islands. On the bay, there are many caves, beaches, stunning scenery which is favorable for the development of many forms of tourist attractions. 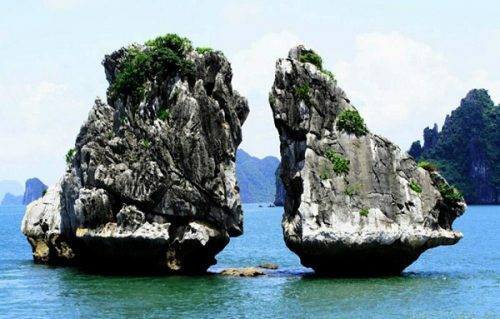 Besides visiting the attractive cave system in HaLong like Thien Cung cave, Dau Go cave, Sung Sot cave, going to Bai Chay, Yen Tu Mountain and Tuan Chau Island are perfect choice for sightseeing and enjoying fresh, delicious seafood.